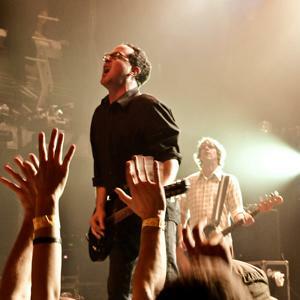 Having earned a reputation in the past decade for setting epic tales of Midwestern love and misbehavior to fist-pumping anthems, The Hold Steady will play songs from their new album, “Heaven is Whenever,” inspired by struggle and reward. Queens native Himanshu Kumar Suri and San Francisco-born Victor Vazquez founded the hip-hop group Das Racist. Now based in Brooklyn, the outfit notched a comedic underground hit last year called “Combination Pizza Hut and Taco Bell,” about the telephonic challenges of a meet-up at a fast-food joint on Jamaica Avenue. They join us to perform live in the Greene Space. Bonus Tracks: The Hold Steady performs an exclusive post-broadcast set for the in-studio audience. Doors are opening at 9:30 pm. Come early and enjoy a drink on the house.